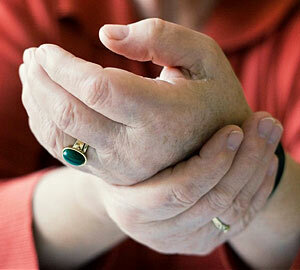 More patients are seeking alternative methods to help with arthritis. A new study published in the November issue of the Journal of Clinical Nursing shows that 25% of patients with various forms of arthritis are using complementary and alternative therapies. Most felt that the alternative treatments were beneficial saying that they helped with pain intensity, sleeping patterns and activity levels. Complementary and alternative therapies can include exercise, herbal therapies, massage, acupuncture, dietary supplements, yoga and meditation. “Our study underlines the importance of healthcare professionals being knowledgeable about the potential use of complementary (CAT) and alternative therapies when providing medical care to patients with arthritis," says study leader, Professor Nada Alaaeddine. "It is, however, important that patients discuss CAT use with their healthcare practitioner and that they are made aware of possible side effects, in particular the possible interactions between herbal and prescribed drugs," concludes Alaaeddine.